I think we can all agree that our immune system is amazing! This complex network of cells, organs, and tissues harmonize to defend our bodies from disease-causing microorganisms. Like a loyal family watchdog, it constantly guards our bodies against unwanted intruders that make us sick. Yet, every now and then a tiny organism breaks through and invades our bodies. Viruses, bacteria, fungi, and parasites give us colds, flu, and other ailments that cause us to feel run down and listless. No one likes to feel poorly, and much has been peddled about boosting our immune system by eating the right fruits and vegetables to prevent illness. But is it true? Can we really stay well by eating healthfully and adding certain foods to our diets? I decided to find out. Firstly – No one really knows conclusively if adding certain foods to our diets will boost our immune system. It is intricate and not that easy to understand. Harvard Health Solutions states that the idea of boosting our immune system is enticing, but the ability to do so remains elusive. Translated, that means our immune system is, just that, a system, made up of multiple cells, organs, and tissues; we simply would not know which specific part of the network to boost, or how to boost it! Secondly – What is known is that our immune system is a complex system that requires harmony and balance to function well; our gut flora being of most importance for keeping this balance. Additionally, diet, exercise, and stress are all factors in how well our immune system operates. Thirdly – In order to effectively battle germs, our immune system needs to be armed with proper nutrition. No one denies that people that lack certain nutrients in their diets are more susceptible to illness, which brings me full circle to the idea that we can boost our immune system through diet. Considering the aforementioned information, it is relevant to acknowledge that adding certain foods to our diet will help boost our immune system. Oranges, grapefruits, lemons, limes, and tangerines are all popular choices in citrus fruits that help to build our immune system. Packed with Vitamin C, these juicy fruits are our first line of defense against colds and flu. Vitamin C is a water-soluble antioxidant that repairs tissue and protects against heart disease. Baby boomers, listen up. Vitamin C may be as helpful to our heart as walking. Why red and not green? Because red bell peppers contain the highest concentration of Vitamin C. In fact, they have more Vitamin C than citrus fruits. Also, red bell peppers are an excellent choice for Vitamin E, which is known for keeping hair and skin youthful looking. They are rich in certain enzymes such as lutein that protect from cataracts and promote eye health. Red bell peppers are sweet and delicious and lend themselves well to many types of dishes. Broccoli builds up immune defenses in our gut, the most vital area of our body when it comes to boosting our immune system. Packed with nutrients, broccoli is a good source of Vitamin E, Iron, Vitamin B-6 and Calcium. And there’s more good news! Researchers at UCLA found that a chemical in broccoli and other cruciferous vegetables may hold a key to restoring the body’s immunity, which declines as we age. This edible bulb from the lily family not only flavors our cuisine, but boosts our immune system as well. People in many parts of the world use it for medicinal purposes such as for fighting infection, and relieving the common cold. It may also reduce bad cholesterol and help lower high blood pressure. This leafy green made my list not only because it’s high in Vitamin A, Vitamin C, Calcium, and Iron, but because it is a very easy to grow backyard crop. Eat it raw in a salad for best nutritional benefits, or lightly sauteed. This hearty Spinach and Feta Quiche is a delicious way to add spinach to your diet. Ginger is antibacterial. That makes it a great addition to our diets for supporting our immune system. It also prevents nausea and soothes an upset stomach. Ginger relieves motion sickness and has been my natural remedy for settling stomachs on road trips. Check out the price of Tummy Drops on Amazon, the natural choice for upset tummies. Yogurt contains Vitamin D and probiotics. Probiotics are live bacteria and yeasts that are good for our health and gut. As mentioned earlier in this article, our gut flora is of most importance for keeping our immune system balanced. Yogurt promotes good gut health, thereby providing immunological benefit. Studies suggest that having a daily dose of yogurt may enhance the immune response, therefore, increasing resistance to immune-related disease. Plain yogurt without all of the sugar is best because sugar shuts down our immune system for several hours after consuming. Try to avoid sugar, especially when fighting a bug. A delicious way to boost our immune system and stave off colds and flu is with these fuzzy brown and green powerhouses of nutrition. Actually an edible berry, kiwis provide more Vitamin C than oranges. But that’s not all. They are also rich in Vitamin B-6 which supports a healthy immune system. Take the example of our fine feathered friends and eat your sunflower seeds. They are nutrient dense and provide 113% of dietary magnesium, which is necessary for a healthy immune system. Magnesium helps build strong bones, keeps heart rhythm steady, and regulates blood sugar. Surprise! This immune boosting food is neither a fruit or vegetable. Nevertheless, shellfish, particularly oysters, contain unique minerals that promote immune system function. Shellfish contain minerals such as selenium and zinc which boost white blood cell activity, thereby activating cytokines. Cytokines are cell signaling molecules. They communicate from cell to cell triggering immune responses which stimulate cells towards fighting inflammation and infection. Our immune system does a remarkable job of fighting off illness and keeping us well. It is a complex system of cells, organs, and tissues that work together to combat germs. Good gut flora is all-important for optimal immune system function. While it is inconclusive to say that certain foods boost our immune system, it is widely recognized that proper nourishment of the body helps to promote immune system operation, which in turn helps our body’s immune system resist microorganisms that make us unwell. Battling retirement anxiety? Suffer no more! Learn about natural remedies that really work! 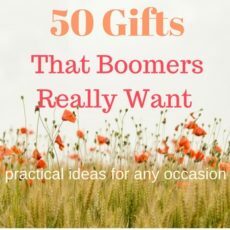 ← Exciting Gift Ideas for Boomers and Retirees – 50 Gifts They Won’t Return!